Repetitively, I hear these comments. Many of the phone calls and sessions in regards to parenting are mums and dads feeling like failures. School Teachers have also questioned their own ability especially when faced with these alive beings. At one of the schools where I offer my services, one Teacher after 20 years experience was going home in tears every night as she was convinced that she was NOT reaching the children. “They are still not getting the rules and boundaries”. As a result of coaching the Teacher with new tools and techniques, the relationship between both child and teacher is now peaceful, fruitful and rewarding to all. These amazing souls connect with a place called Lemuria. There were no boundaries, it was limitless in every way. There was one E-Motion …. UNCONDITIONAL LOVE! A thought manifested anything that you wanted. Relationships were easy as we understood we were ONE. The only form of communication was telepathic. Crystals were integral as forms of healing, communicating, storing information and connecting with other universes. Toning and sound would open vortexes and aid Teleporting. Sacred geometry was a necessity for everyday life. Then the AQUA child ‘arrives’ on earth, and they entwine with fear based concepts, they are totally unbalanced. Their knowledge of love, self worth and Oneness are forced aside as they ‘forget’ they have a choice. Deep within, they know that they are pure potential, limitless and can achieve anything. So as they grow, they will be the children that shall try anything, no matter how ‘dangerous’ it appears. The more exciting and impossible it seems, it is almost a challenge for them and they will attempt it. More extrovert in nature, they are the performers. Great examples are Madonna and Steve Irwin, the Crocodile Hunter. Watching them, they are always taking on new challenges, life is full of excitement and they do things that no one else would do. Having only communicated telepathically, some children may have speech problems. It may be late development, laziness and sometimes poor connections with the cognitive part of the brain. After talking with these children telepathically, most of them do not ‘understand’ the need to talk and therefore choose not to. Eventually when they use their voice – look out as they love to SCREAM. However, never scream at them as they become very distressed and scared. One of their life’s lessons is dealing with E-Motions in general. Being restricted by limits, rules, regulations and time frames will agitate and create ‘anger’ within the child. Schools are the worst offenders as they are very restrictive in all areas. 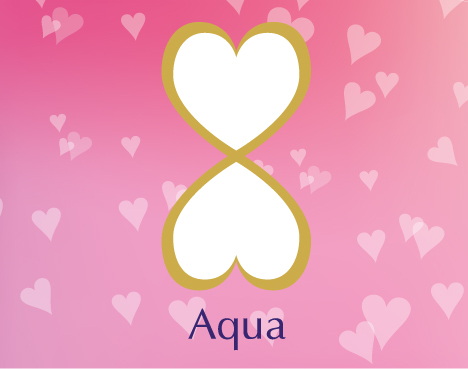 AQUA children work on feelings and if they choose to do things in their time – you will have pure excellence. Ask an AQUA child to do something when they do not want to – prepare for ‘battle’. Kinesthetic in their learning, they will touch and experience to understand. Schools are NOT built for these souls. Many AQUA boys drop out of school at Year 10 as their hands on ‘talents’ are not being catered for. Apprenticeships and on the job training are best for these beings. Body shape will be the triangle, athletic type or ‘overweight’. They are sports orientated and outdoor activities suit these beings. The digestive tract is extremely sensitive and generally speaking they are wheat, dairy and sugar intolerant/allergic. The stomach and small intestine are linked to personal power area, that being the Solar plexus. The adrenal glands can be in exhaustion due to ‘survival’. Mood swings and rage occur as the endocrine system is not linked with the chakra system. This can create bouts of depression even in small children. The Aqua Child is constantly wanting things to be perfect, they like change and can be easily bored. Very social by nature, to isolate these beings is a form of torture. Having big open hearts, these souls love to love and can be extremely generous in all.